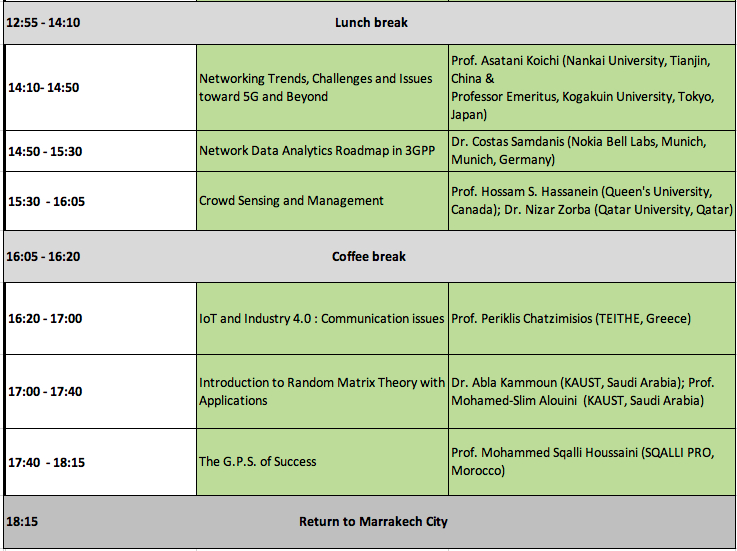 The conference activities will end by an IEEE ComSoc One-Day Spring school, offering a unique opportunity for participants to discuss the most relevant subjects with experts and professionals. The school program is as shown below. To attend the school, you need to register at this URL – http://mosaic-lab.org/springschool.aspx. There is the capacity to accommodate up to 100 registrants only; and the first registered the first accepted. Please register only if you are sure you will be attending the event. 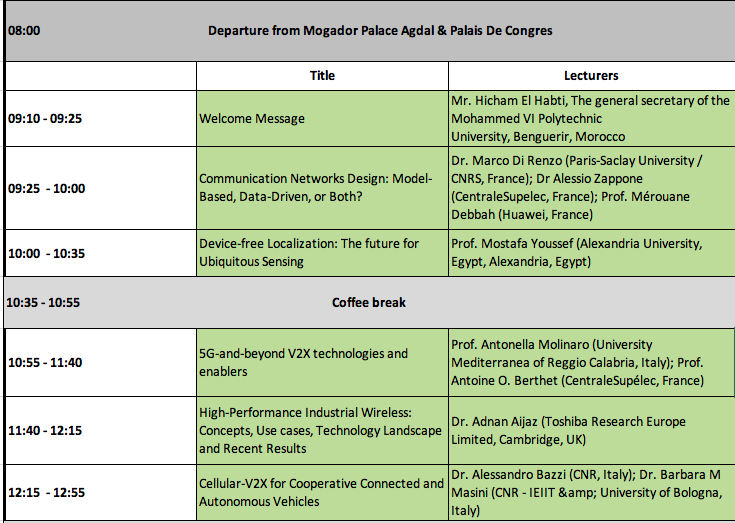 Transport will be arranged between the conference venue and the school venue, at UM6P (https://www.um6p.ma/).